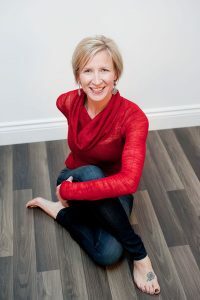 Shelly is a physiotherapist and Professional Yoga Therapist who has been integrating yoga into physiotherapy since 1998. She is an advocate for improving pain management methods and education. She is founder of Prosko PhysioYoga, co-founder of Yoga in Healthcare, teaches courses including Life is Now Pain Care Yoga and is faculty at medical therapeutic yoga and yoga therapy programs. What drew Shelly to PCY work? As a physiotherapist and yoga therapist, I had been integrating yoga into physiotherapy treatment sessions with my patients that were suffering from a variety of conditions for several years. However, when I came across Neil Pearson’s Life is Now Pain Care Yoga, I quickly realized there was a gap in my knowledge, skill set and effectiveness in helping people who suffer from persistent pain to move better, self-manage pain, improve quality of life and to thrive. I was drawn to Pain Care Yoga partly because I appreciated and valued how this work was based on best evidence in pain science education and integrated with ancient yoga practices and philosophy and the lived experience of pain. This was a perfect fit to enhance and support my passion, mission and efforts in helping people reduce suffering by integrating modern healthcare with yoga. “What helped me the most was learning how to breathe and paying attention to it more often. I realized I was almost always holding my breath when I moved because I thought that would actually protect me, but it didn’t, it actually made my pain worse. Shelly helped me understand this. That was a game changer. The other thing that really helped me was to trust myself and my spine and know that my body wasn’t going to break. I used to think I needed to always protect my spine, and so I always tried to keep it straight and was afraid to bend it. (PCY) helps me practice letting go and move more freely and I can feel that immediately helps my pain. I never realized how tense I used to be all over. Now I am more aware and know when I’m tense, and I can change it and then my pain changes. It’s amazing how much more in tune I am with my body. Shelly has taught me how I can help myself, and not just rely on others to fix my pain. I’ve also learned to be more aware of my boundaries. I know when it’s time to stop and when it’s time to push now and that has really helped me be able to progress.